A pair of shoes often memorializes the grave of a child. 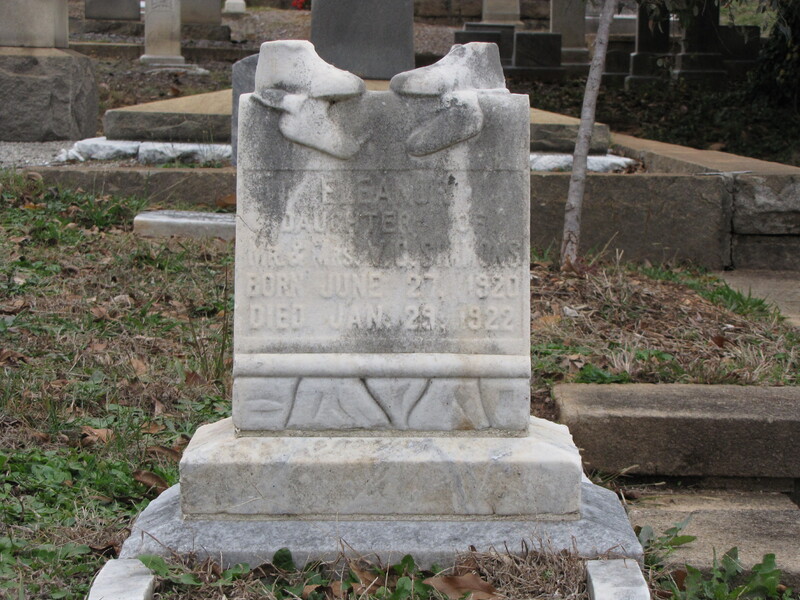 In this case, the pair of shoes marks the grave of a one and a half-year girl named Eleanor buried in the Oakland Cemetery at Atlanta, Georgia. 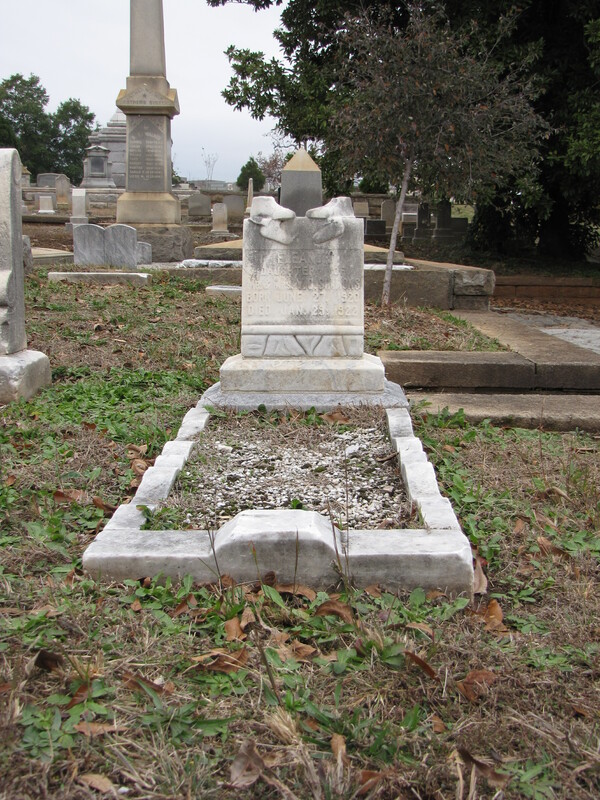 The headstone forms the end of this white marble cradle grave from 1922. In this example, the shoes are sitting on top of the socks, too.